Perfect for any patriotic holiday gathering! 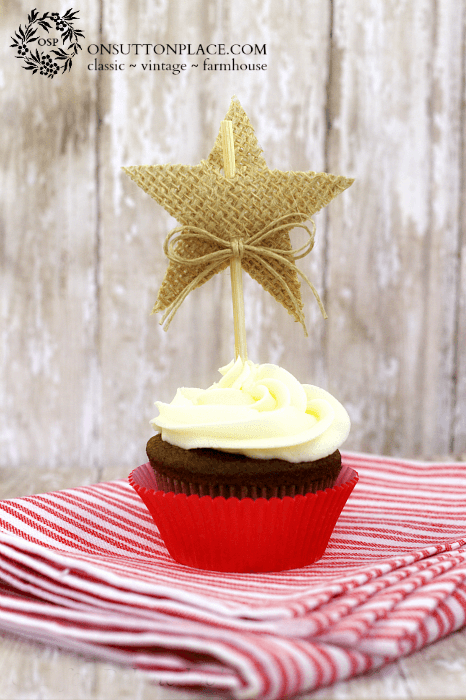 Make these Devil’s Food Cupcakes & top them with these cute stars. Includes directions for making the toppers. 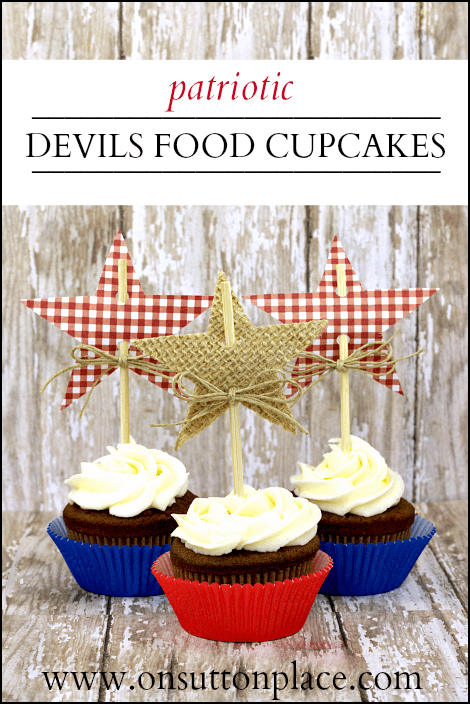 Up today are some moist and chocolatey (with buttercream frosting) Patriotic Devil’s Food Cupcakes. Oh. My. Gosh. I put a red, white and blue twist on them since there are patriotic holidays coming up but these cupcakes would be perfect any time. 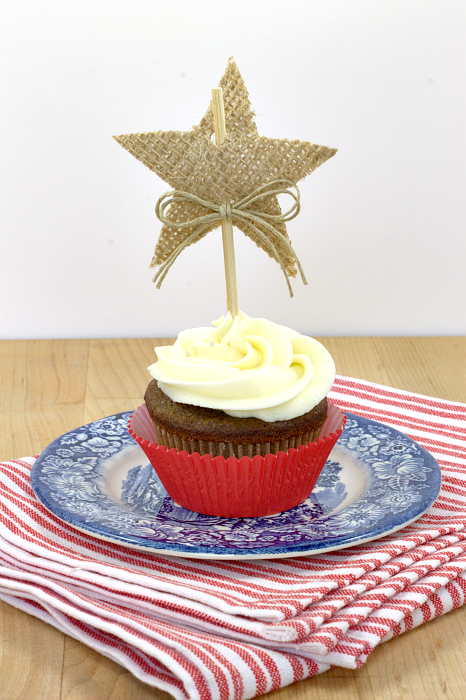 The star cupcake toppers are made from burlap and scrapbook paper. Get the star template HERE. 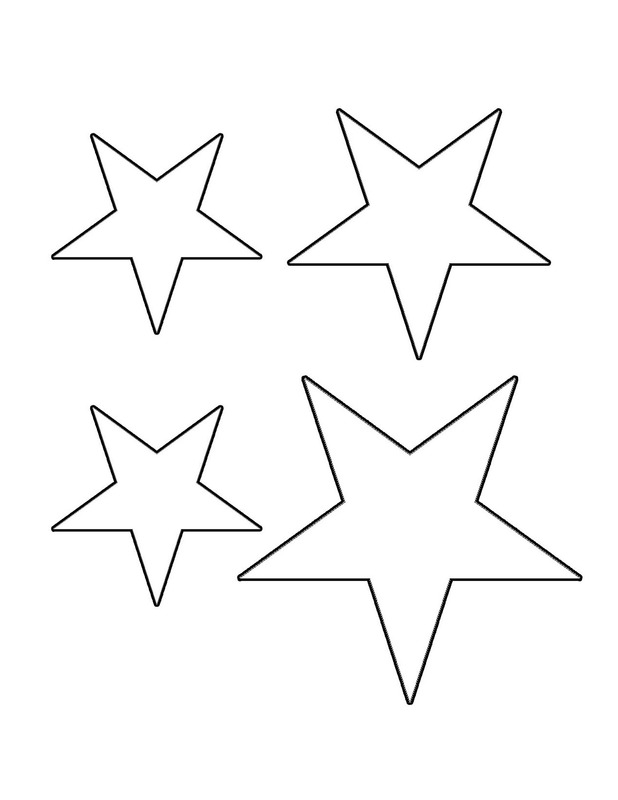 Print the star template on cardstock and cut out whatever size star you want to use. For the paper version, simply trace the star on the back of the paper and cut out. Using a hole punch, punch 2 holes and insert a stick through the star. I added a little twine bow too. For the burlap star, take 2 pieces of burlap and fuse them together with iron-on interfacing. Trace the star and follow the directions above. The interfacing takes care of any stray burlap threads and also makes the star stiff enough to thread the stick through. The stars are totally re-usable. Just store them in a plastic container or ziploc bag. This recipe is from my old, battered Betty Crocker cookbook that I received when I got married. I use it for tried-and-true, good old basic recipes. This Devil’s Food cake is simple and straight-forward with an incredible result. I noted in the recipe that if you want to save some time, this recipe can be baked in a 9 x 13 pan. Perfect for any patriotic holiday gathering! 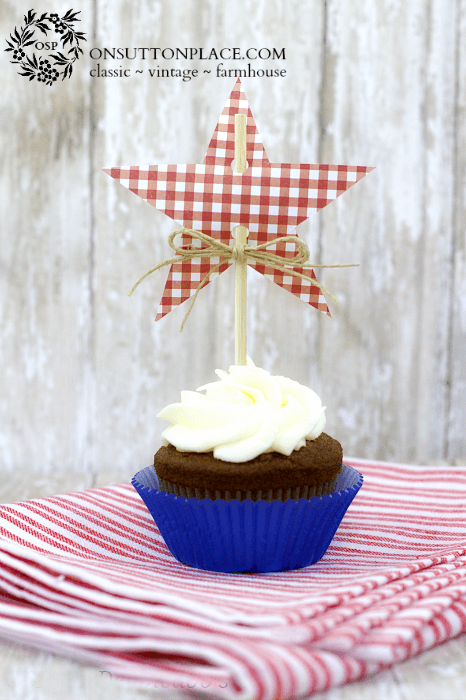 Make these Devil's Food Cupcakes & top them with these cute stars. Includes directions for making the toppers. Add salt, baking soda and 1 cup flour. Slowly add buttermilk and remaining 2/3 cups flour. Can also be baked in a 9 x 13 greased pan. Bake for 35 to 40 minutes. 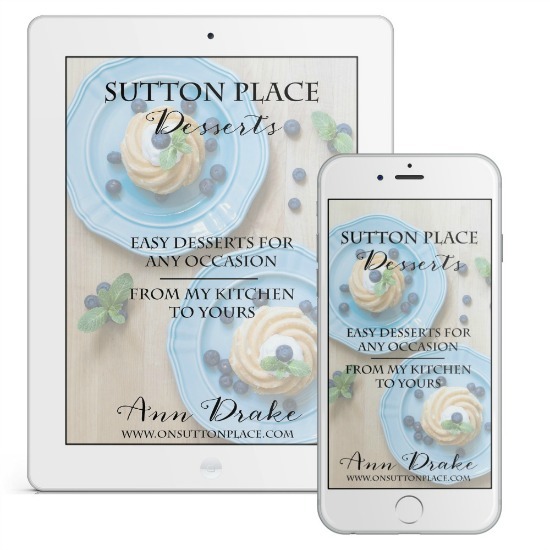 Join the OSP email subscriber list and get this free Sutton Place Desserts eBook that you can download immediately. Click HERE to join us! Get more chocolate dessert recipes HERE! Those are the cutest cupcakes ever! I would make maple leafs instead of stars, but it would be so cute and easy. Your recipe sounds delicious, too. Thanks for the great inspiration! Thank you for your visit and your sweet comments. They look so cute, I would be tempted to NOT eat them. Oh, but I would…they sound very tasty!